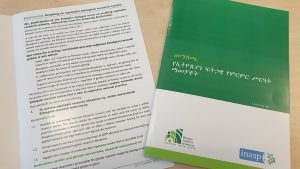 INASP’s Programme Officer for Information Access, Mai Skovgaard, considers how national collaboration and consortia support access to research, which in turn supports policymakers to use evidence in making decisions. 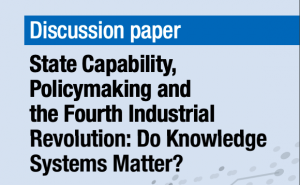 Use of research evidence in decision making for policymakers is critical for supporting knowledge-based debate and decision making during the policy-making process. 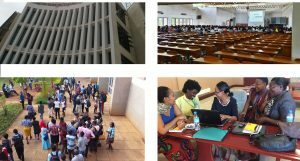 As the lead organization in the VakaYiko Consortium, the EIPM team at INASP has been working with partners in Ghana and Zimbabwe to develop and deliver a practical evidence-informed policy making course. Participants in the course pilots have been civil servants in research and policy analysis teams whose role is to provide policymakers with the information to guide their decision making. One of the aims of the course is to highlight research as an important part of the evidence spectrum, while also recognizing that there are other forms of evidence that inform policy making such as data, citizen knowledge and practice-informed knowledge. Civil servants have told us that one of the most useful parts of the course is the section that focuses on access to online sources. Many of them were not aware of the enormous range of research material that is freely accessible online in their countries, and they also weren’t familiar with their national library consortium that, as government institutions, they are eligible to join. There are a variety of access routes to online research publications. Some publications are open access (OA), offering unrestricted online access to scholarly research. Open-access articles are indicated by the OA symbol of an orange open padlock. These publications are free to the end user and can therefore be used as soon as they have been identified as a potential source for relevant research evidence. These types of sources are particularly useful for researchers and policy analysts in government agencies who do most of their research directly from their desks and do not have an institutional library. Examples of sources include the Directory of Open Access Books and WorldwideScience.org. Other publications require a subscription before end users can have access to them. This subscription would usually be done through a library or organization. For policymakers this could be their parliamentary library, government ministry, office or agency. As subscriptions to academic publications are often costly there are a number of access initiatives designed to support developing countries in gaining affordable access to up-to-date scientific electronic journals and books. INASP is one of these. 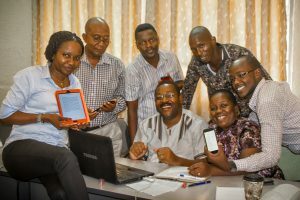 Alongside our work to improve the production and use of research in developing countries, INASP works with national library consortia in our partner countries to create effective enablers of information access. This work includes negotiating for free and low-cost online resources from a variety of publishers across many disciplines, which partner consortia can then subscribe to. Alongside our own negotiations with publishers, INASP is training our partners in taking over negotiations themselves. By working through consortia – where member institutions are able to pool their money and resources – INASP is working to ensure that as many institutions, and thus end users, as possible will have access to a large variety of research publications across various subject areas. When academic, research and government institutions join together in consortia to enable information access, the sum of the parts really is greater than the whole as each institution is able to make the most of the limited budget they have for subscriptions to scientific publications by pooling their budget with that of the rest of the consortium. All of INASP’s licences with publishers are country-wide and the majority include parliamentary libraries and government ministries, offices and agencies as institutions eligible to access the resources negotiated for. This means that by becoming members of INASP’s partner consortium in country, parliamentary libraries and government ministries, offices and agencies in that country – and thus the policymakers working in these – will have access to the research information subscribed to by the consortium. Policymakers belonging to an institution that is a member of an INASP partner consortium will therefore be able to access and use research evidence from a variety of publications requiring a subscription in the formulation of their policies and programmes. Full lists of resources available in INASP partner countries along with contacts for our partner consortia can be found on country pages on our website. Our website also includes guides on how to identify and use online research literature. To keep up to date, follow us on Twitter and Facebook.